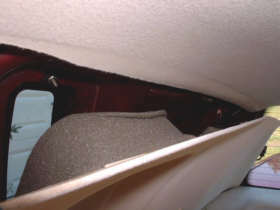 1994 Lincoln Towncar headliner installation; step by step. This is a headliner replacement in a 94 Lincoln Towncar. 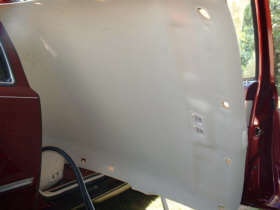 This headliner installation is slightly on the complicated side; because the headliner board is glued to the top of the vehicle; and has to be pulled down to break the bond. The board is large and is a little harder to remove from the vehicle than most headliner boards -- but with a little bit of hard work, and persistence; the job can be done by the average person; given they don't get in a rush. 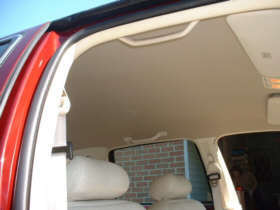 A full size headliner kit will do this car; click this link to go to the order page. 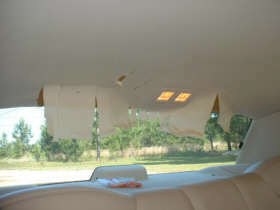 The headliner in this Lincoln hadn't fallen; but had sun damage in the rear. It can be seen good in this picture. 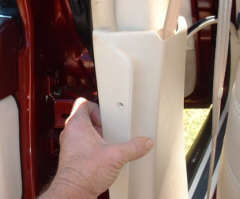 The handles above the passenger doors have screws behind the plastic cover that holds them in place. 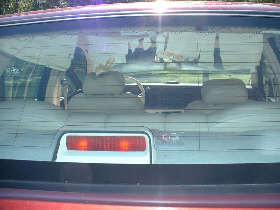 The rear panel has plastic plugs that hold them in place; and also the rear top light pops out of place. 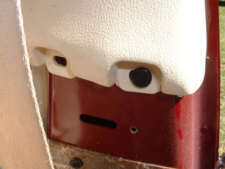 This is a pic of the front windshield trim; it also has plastic plugs that can be pulled out. 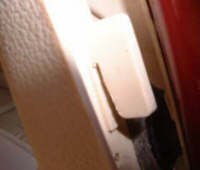 The trim on the door posts (between the front and back door) should be taken loose so the top trim can be removed or loosened. 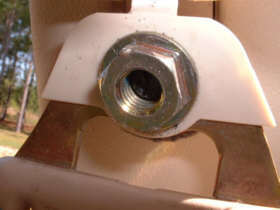 It has two screws at the top -- front and back. 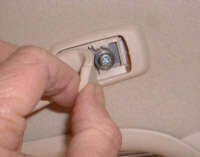 The top trim is attached by the plugs in the previous picture and these fins which slide into the vehicle body and then is pushed down. 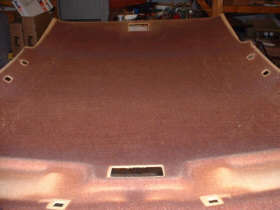 After removing the plugs -- slide it up and it will be free; and the headliner board will come out from under it. Here's the hard part; the boards in these are glued to the top. It has to be pulled loose; and at times it will look like the headliner board is going to rip in half; but remember these are well made and very strong. You may put a few dimples in it; but nothing that will effect the finished job. Remove the headliner board; and this may also take some bending of the board; but as I said before -- these boards are very strong. 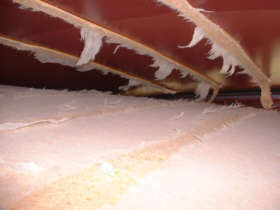 When the board is removed; clean it of all the old cloth and foam. 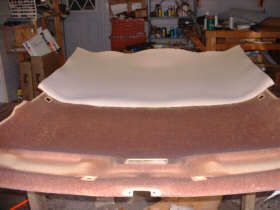 And glue the new headliner material back to it; trimming excess cloth where needed. And put it back in; the owner of this Lincoln picked a darker material than came originally; but you can still see that it looks much better.